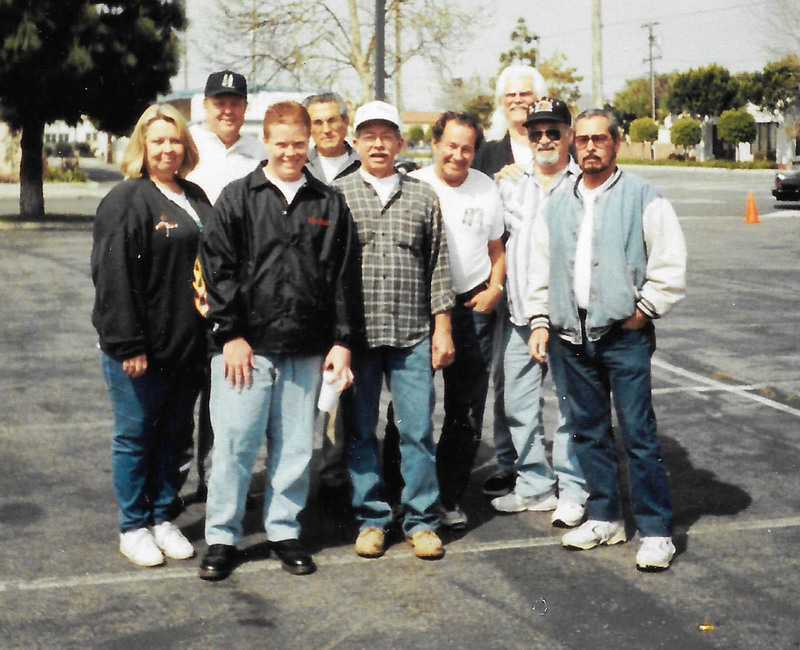 The Chariots So Cal car club was founded in the early 1960's in the Downey, California area of Los Angeles County. After years of little activity and decreasing membership, the club was disbanded. One of the main reasons for the declining of members was the advent of the Viet Nam war which took many members. Some did not come back. In 1998 the Club was re-established and is very active now. You can see the the founding members of the new club above. We have a classic car cruise every Wednesday Night at from 4 to about 8:30pm. We are down for the winter in mid November and back the first Wednesday in May. Wee have a great 50/50 and a raffle table just loaded with prizes. Trophies are given out for at least 9 categories every Wednesday.